1. 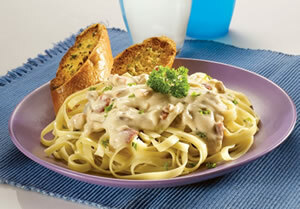 Toss hot fettucine with Prego Alfredo Portobello and beef bacon till well mixed with the sauce. 2. Garnish with parsley and serve.